Men, we’ve all been there, sitting in the man seat, holding bags and baskets of merchandise while our wives gleefully continue their shopping sprees. 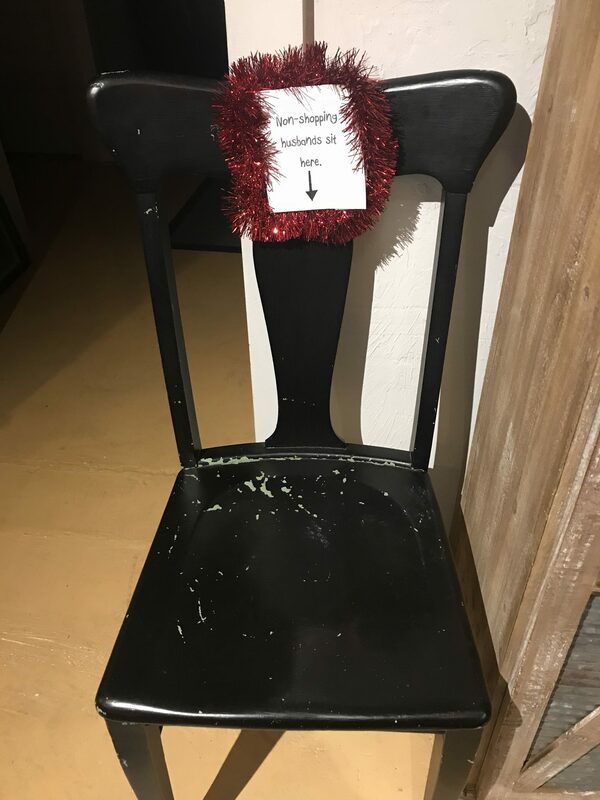 And I know that many of us, when faced with our wives’ desire to go to the Pioneer Woman Mercantile in Pawhuska, Oklahoma, recoil in fear of long hours stuck sitting in that chair. Loved this chair for non-shopping men we saw in Pawhuska. But men, I’ve got good news: If you play your cards right, you just might have more fun than your wife when you go to Pawhuska. Here are a few of my favorite things to do in this cowboys’ playground. The World Famous Buckin’ Flamingo is just down Main Street from the Merc, and is definitely worth a stop. They sell some of the most unique metal art you’ve ever seen, perfect for decorating your man cave. You’ll find vintage signs for beers, Harley-Davidson motorcycles, baseball teams, and gas/oil companies. You can also prepare for your anniversary, Christmas, or your wife’s birthday by shopping their selection of beautiful sterling silver and turquoise jewelry. How thrilled would she be with a memory of one of her favorite towns on that special day? I daresay you’d get a LOT of points! 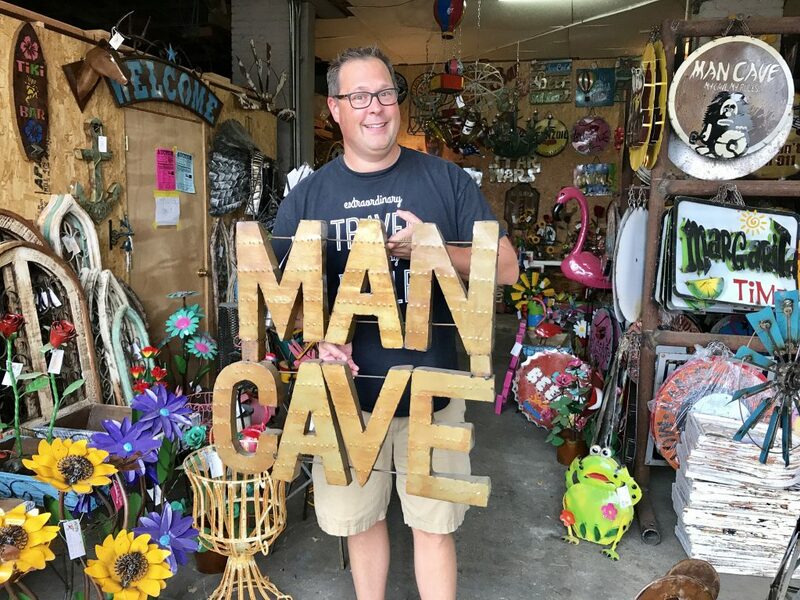 You can shop for your man cave at The World Famous Buckin’ Flamingo that is just around the corner from The Mercantile on Main Street. And, to up your grill game even more, stop by Lorec Ranch – Pawhuska and pick up a small branding iron to char your initial right into a juicy steak. Heat this up and put a unique mark on every steak you serve! Head east from the Merc about three blocks and board a tour on the Roaming the Osage Historic Scenic Tours van. Casey and his crew have put together an informative tour that will give you an overview of the area and its history. You might even get to see a bison. 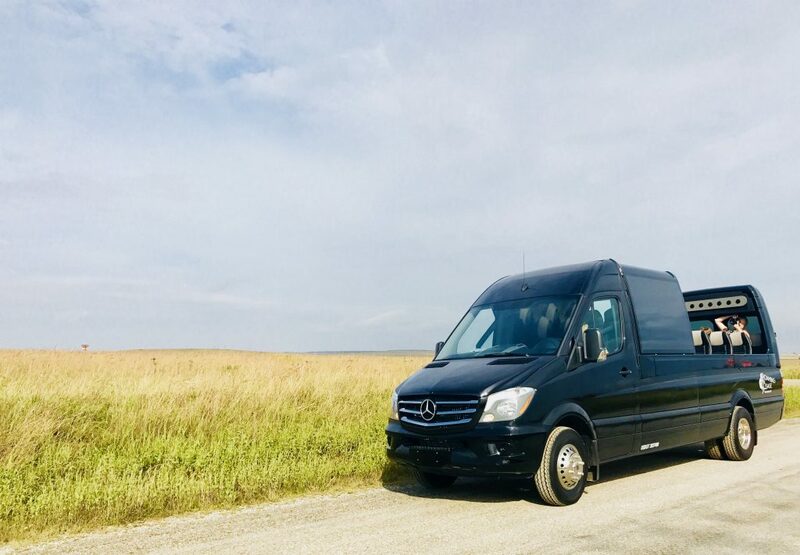 The Roaming the Osage Tour will give you a great overview of Osage County while you ride in style. The best part is that the tour is in the coolest tour van you’ve ever seen. It’s a Mercedes convertible with a retractable roof. When the weather is nice, you’ll roll through town in the open air, but when you head out on the highway, they close the top and the AC pours over you keeping you comfortable. It’s a unique experience — our understanding is that only two of these particular vans exist in the United States. Located just two short miles outside the city limits is the large, beautiful Bluestem Lake. When you head to Pawhuska, pack along your fishing gear because you can spend long, peaceful days at the lake. 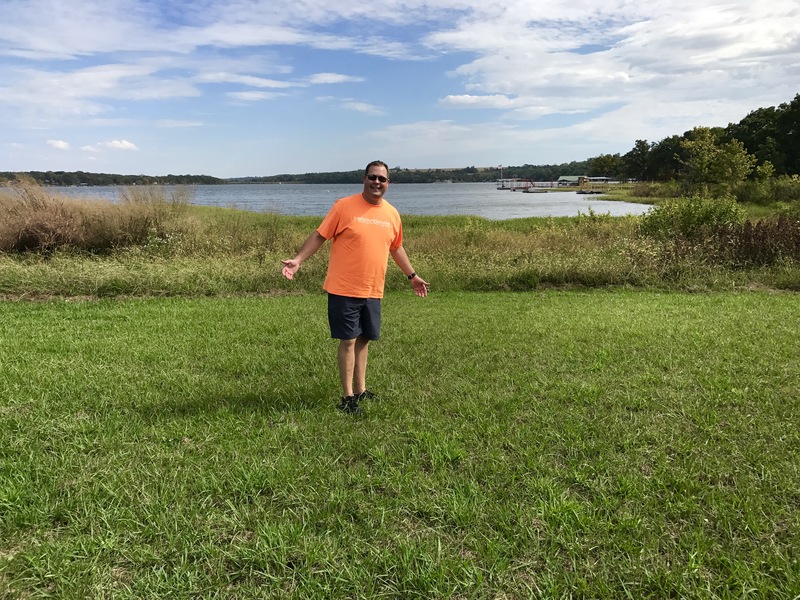 Bluestem Lake offers lots of outdoor recreational activities, including fishing. 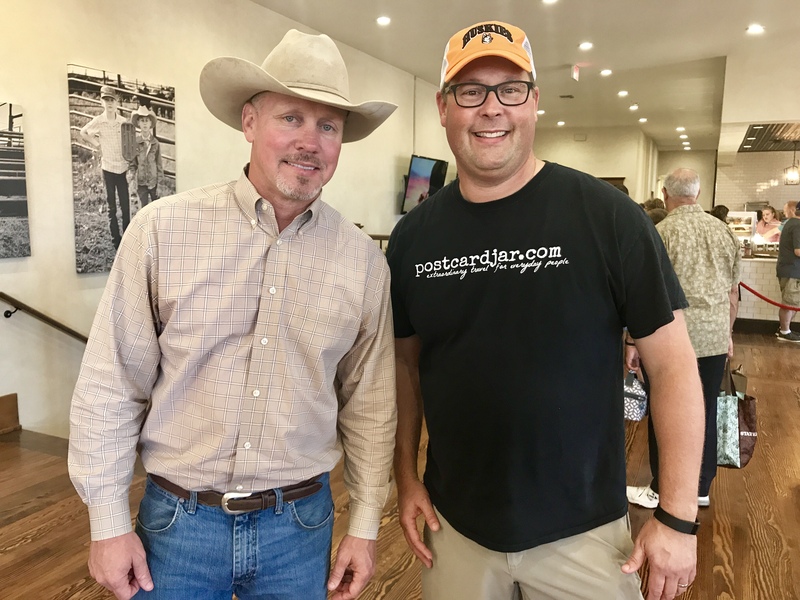 While your wife is busy trying out whisks, spatulas, and mixing bowls, head across the street to Osage Outfitters and try on a new cowboy hat for yourself. 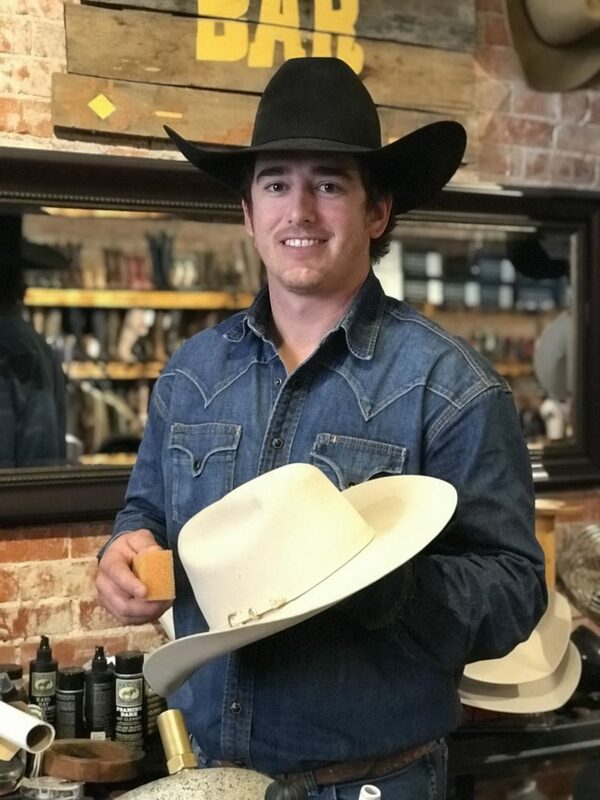 Owner Joey Lee will help you pick one that is just the right size and will then custom shape it while you wait at the hat bar. 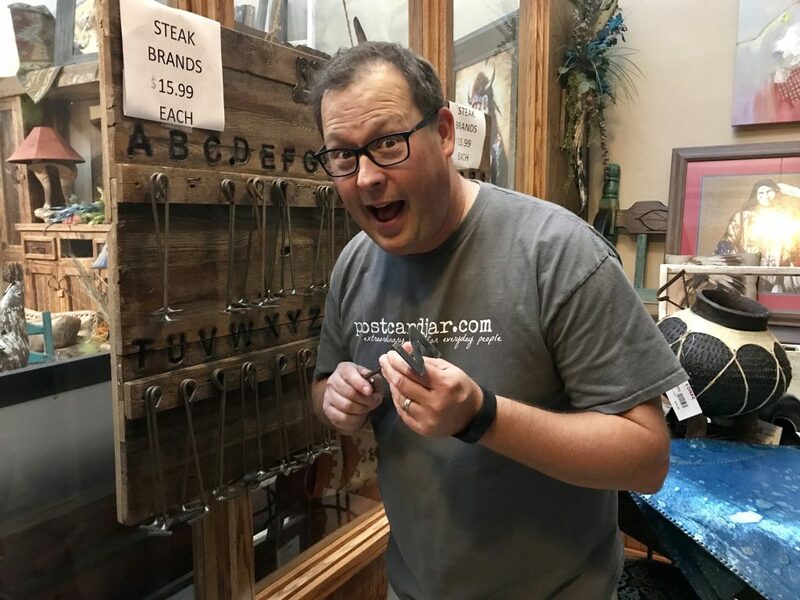 Osage Outfitters owner, Joey Lee, will be happy to shape a hat just the way you like it while you wait. In just 10-15 minutes, your new hat will be shaped however you want. Joey can make you a Cattleman’s Crease, a Gus Crease like in the movie, “Lonesome Dove,” or something else entirely. 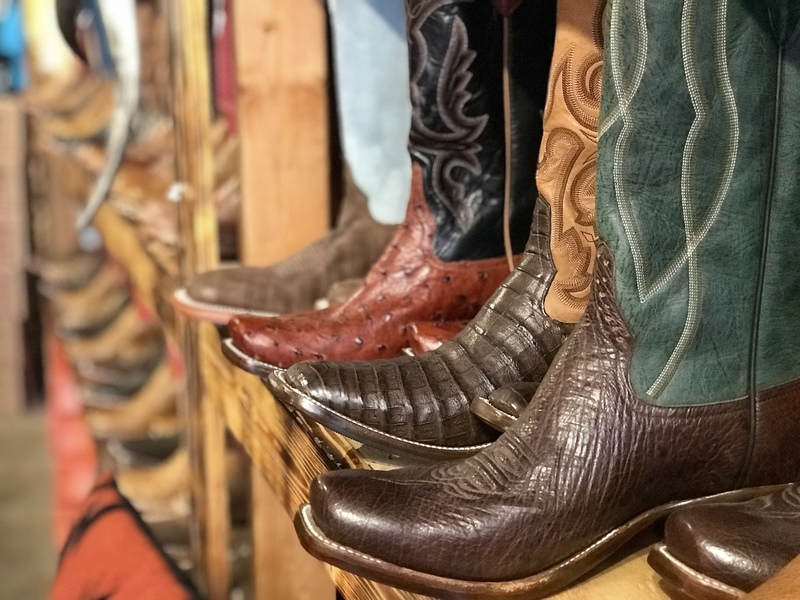 Check a wide selection of quality cowboy boots at Osage Outfitters on Kihekah Ave. in Pawhuska. Head down Main St. to the Book Burrow, a used book store where they probably have a copy of just about anything you’re looking for. Don’t have a title in mind? Owners James and Kelly are super friendly and can help you quickly find something that will grab your interest whether that’s a novel or a book on how to build cabinetry. Then, kick back and relax in one of their comfy chairs and enjoy some quiet time to yourself. 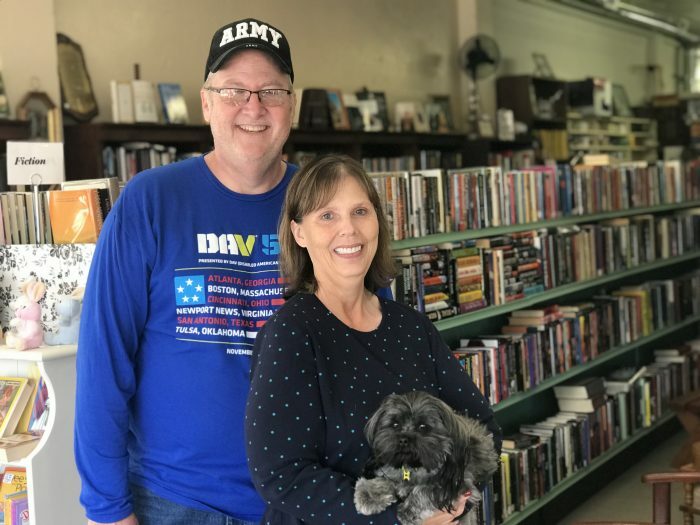 The Russells, owners of the Book Burrow, are friendly folks who will help you find the perfect book. Another book option is offered up by the Pawhuska Public Library. There you’ll find a huge selection of reading material in a comfortable, relaxing, and air conditioned building. Let your wife deal with the hustle and bustle of downtown Pawhuska while you catch up on a novel or your favorite hunting magazine in a quiet, calm, environment. 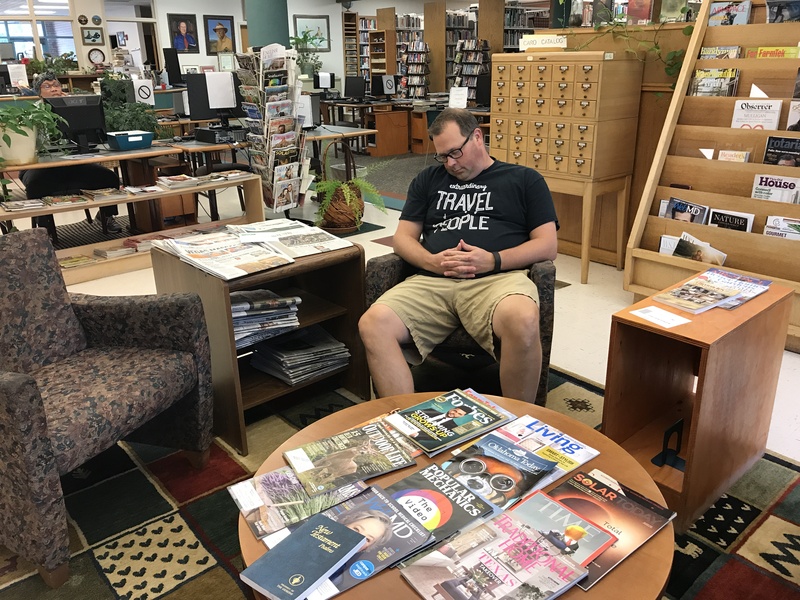 Read a book, or take a cat nap at the Pawhuska City Library. The librarian told us that some guys even take little cat naps there, and she said that’s perfectly OK as long as they don’t snore too much. Get off that man bench downtown, and slide into a comfortable chair with a book. You can find the library’s hours on its website. Obviously, you will want to eat at The Mercantile. 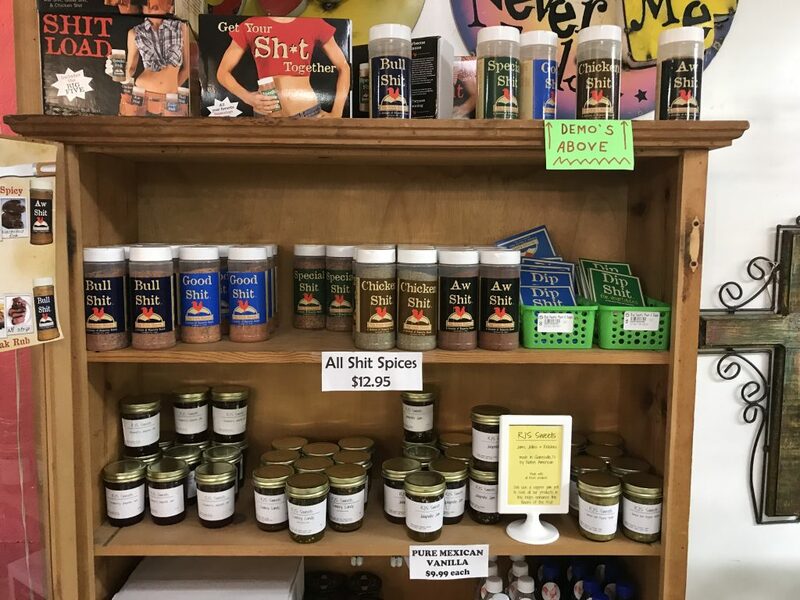 I mean, the chicken fried steak is amazing (and so is the queso dip, and the lasagna, and the chicken parmesan, and the cattleman’s breakfast and the…). But if you’re out and about in town, you should know that there are some other great places to satisfy your hunger. Buffalo Joe’s is a local favorite and has daily specials that are all fantastic. 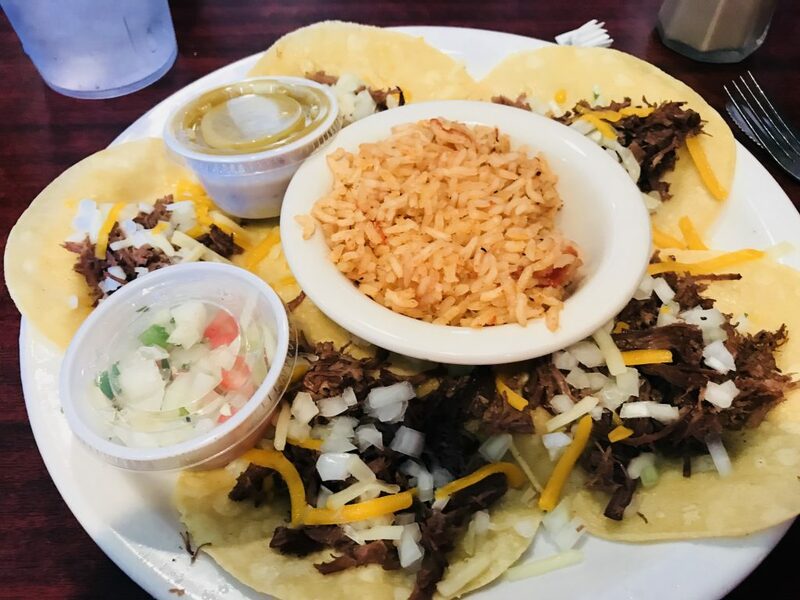 Grill 125 and El Vallarta’s Mexican restaurant are also good places to try. The street tacos at Buffalo Joe’s are outstanding and so are the breakfast burritos. If you’re looking for something a bit more, um, rustic, try T-Bones Pig Stand for a great pork sandwich. And if you’ve got Bar-B-Que on your brain, then head over to Bad Brad’s for an amazing Frito pie. 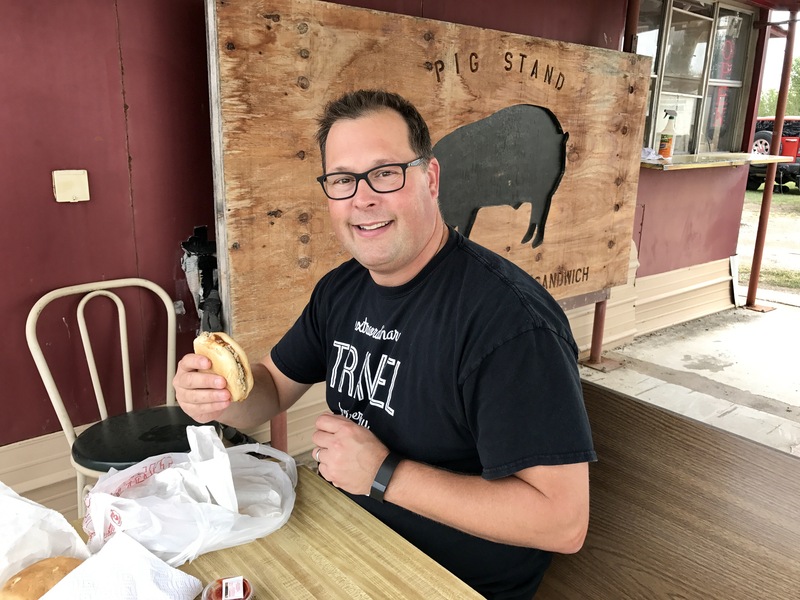 Steve enjoyed a chopped pork sandwich at The Pig Stand just on the edge of town. Oh, and don’t forget to go across Kihekah Ave. to P-Town Pizza, Ree and Ladd’s new wood-fired pizza restaurant. Using an oven imported from Italy, they have combined Old World pizza making technique with traditional American recipes to put together some of the tastiest pies around. And if you leave town without trying P-Town’s Not-Knots, you’ve made a horrible mistake. They will change the way you see life. You’d likely never expect a town the size of Pawhuska, Oklahoma, to have three disc golf courses including two of the top ten courses in the country. 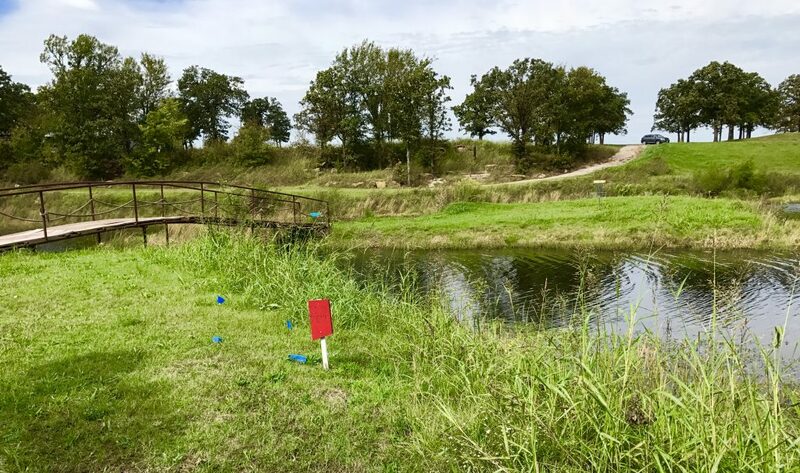 Taylor Ranch disc golf course in Pawhuska, Oklahoma. One course is located in town, while the two championship courses are just south of town on Highway 99 at Taylor Ranch. Drop your wife off at The Merc for her shopping adventure, and head out to challenge yourself to a round of some of the best disc golf there is anywhere in the U.S.A. When I met Ladd at The Mercantile last fall, I told him we’d write a post like this someday and asked him what he thought men should do while their wives shopped. His simple suggestion may well be the best one on this list: Get a piece of chocolate or pecan pie from the bakery at The Mercantile, sit back on the large couch upstairs, and watch the game on TV. 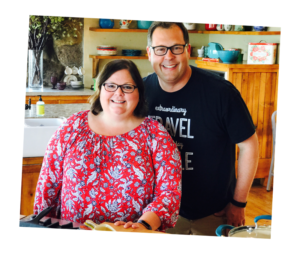 The Pioneer Woman Ree Drummond’s husband, Ladd. Honestly, men, is there a better way to spend a day than that? And remember, they make fresh, homemade pies. All. Day. Long. 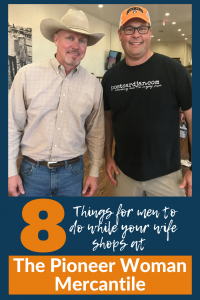 Do you have any ideas for things for men to do in Pawhuska? Let us know in the comment section below. Things for men to do while their wives shop at The Pioneer Woman Mercantile.